The leaves are changing color at the Nürburgring, and once the snow starts to fall, industry testing ends there for the year. Mercedes-Benz's engineers are taking advantage of the last bits of good weather to run the upcoming CLA 35 around the Nordschleife. The driver is really pushing the sedan, too. 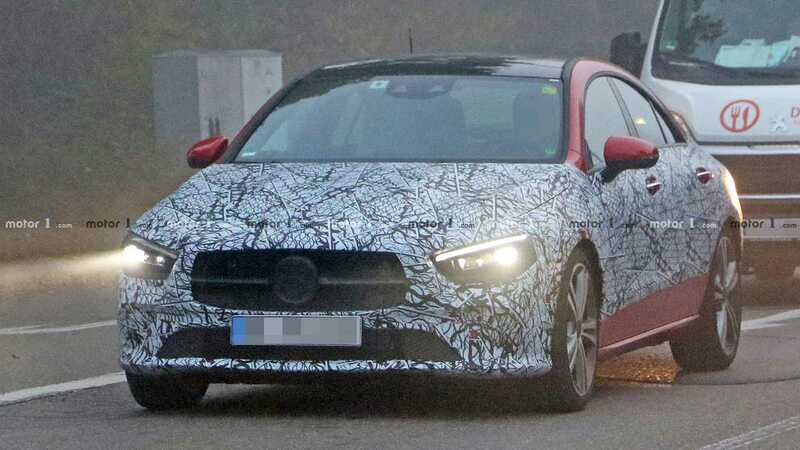 This CLA-Class test mule wears quite of bit of camouflage, but we already have a good idea what the four-door looks like thanks to previous spy shots of prototypes. The CLA has a similar appearance to the new A-Class Sedan but with a sleeker rear section of the roof to create more aerodynamic styling for the model's silhouette. The A- and CLA-Classes will share Mercedes front-wheel drive, compact vehicle platform. The 35 variant will be the entry point into the AMG lineup, and it'll come with a turbocharged 2.0-liter engine producing 302 horsepower (225 kilowatts) and 295 pound-feet (400 Newton-meters). The drivetrain will consist of a seven-speed, dual-clutch automatic transmission and all-wheel drive. This setup gets the A35 hatchback to 62 miles per hour (100 kilometers per hour) in 4.7 seconds. The CLA 35 should accelerate to 62 mph in a similar time. Later, the CLA 45 will arrive with a 2.0-liter that will possibly pack an electric turbo. It'll make over 400 hp (298 kW), and an S variant will potentially produce even more power. The CLA-Class' interior will feature screens for the instrument cluster and infotainment screen. To differentiate the four-door from the A-Class sedan, there will likely be nicer materials in the cabin. The new generation of the CLA will debut in early 2019, and there will be a Shooting Brake wagon, too.